Every artist should have this book! One of most difficult things to draw is accurate emotions/expressions. 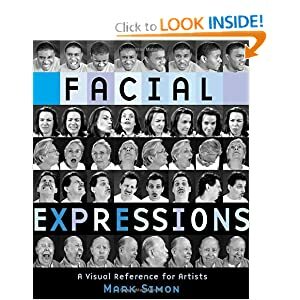 Understand the shapes and movement of muscles for subtle or even extreme expressions. Far too many of us have like 3 or 4 expressions where there are millions! Get this book! I have it. It's great! Yup. Copy of that sitting next to my Loomis books (back in print -- yay!) and this utterly invaluable reference, recommended to me by brilliant cartoonist and all-round nice guy, PJ Holden. When you couple those two images, the lady is clearly some sort of bigot. I wish they were available digital. I'm NOT an actor so I can't make every single face my script asks for in the mirror. There is a kindle version. Yeah, me neither. That's why this book is so awesome! Is there a reason the book doesn't work for you? Or were you just saying you wish you had that Kindle Version? Also, someone mentioned that their copy came with a CD of all the images. Might look into that! Nice repost of the same link above but altering the link so you get credit for the sale. I will vouch for the book though. Mine's pretty dog eared. Last edited by vartemis; 06-05-2012 at 12:07 PM. Slow down there, detective. Just reposting it with the same system I always do. Didn't realize Keith was affiliated. Happily changed the link to give him credit. He's a good dude and we live very close to each other even though we haven't hung out yet. 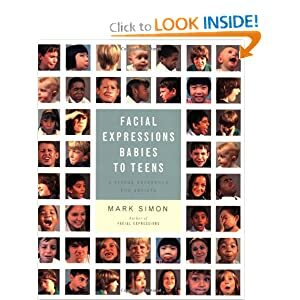 FACIAL EXPRESSIONS: BABIES TO TEENS very cool! Oh, I didn't mean for it to seem like I was calling you out or anything. I just found it funny. The cool face was supposed to be a wink, but it looked so small on my iphone that I guess I got the icons mixed up. Fixed it now that I'm on an actual computer. Nice I didn't notice there was a Kindle version, I guess if I'm making Mangas I will only get the babies and teens version (joking). Just got my book,and leafed through it, and it is pretty awesome. it's going to be super useful for me. Thanks for pointing it out Ray. I saw the baby and teens, that's in my wishlist now, too.